We’d all love a garden we can be proud of. One of the most desirable gardens that you can have is a courtyard garden. Regardless of the space you have, you can add one of these small areas to your home. 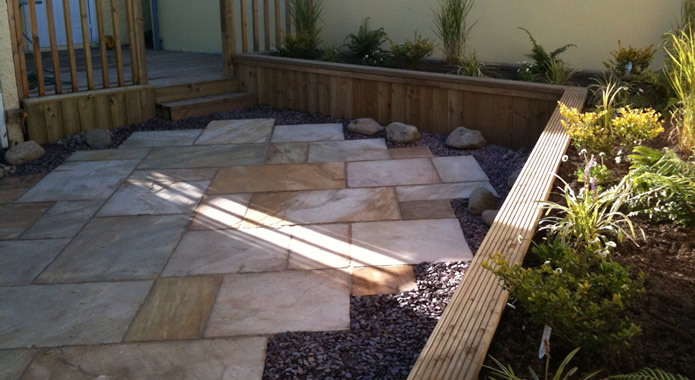 If you invest a significant amount of money in your courtyard garden, you’ll want to secure your investment. You can do that by carefully maintaining your courtyard and the plants and shrubbery within it. Below you will find a number of tips for keeping your courtyard garden at its best. As courtyard gardens are mainly paved, there aren’t many areas for proper drainage to take place. This can cause a number of issues within your garden, especially watering any plants you may have. The best way to keep your plants at their best is to install a small pond or water feature in your courtyard. As they are usually humid environments, the water in the pond or water feature will evaporate and help keep your plants fresh. Before you plant any flowers in your garden, look into the amount of care they need. Be sure that you know which temperatures that they can survive in. Not all plants can survive in cold climates, whilst others cannot handle too much heat. Courtyard gardens are known for retaining any heat they take in for prolonged periods of time, so this needs to be brought into your considerations here too. In a similar fashion, the amount of light required by your plants needs to be determined, as the courtyard’s high walls may be warm, but will restrict the amount of light that is able to get through. Be careful not to over-plant your garden too. It may seem like a wonderful idea to fill your garden with a variety of flowers, but they could eventually die due to overcrowding and tangling of roots. Courtyard gardens are often based around impressive brickwork. If you decide that you’d like to install attractive columns or add some colour to your courtyard remember to keep it clean. Brick and stone work can often become covered in moss, which can detract from its beauty. Make sure that any cracks in your brickwork are repaired too, as these can become worse during the winter months when water seeps into the cracks and freezes. Whenever you think that you can’t be bothered keeping up the work detailed above, stop and think about all the work you put in when you began the project. Without your continued dedication it will not look as you first imagined and will be nothing more than a waste of money and opportunity. If you want to keep a low maintenance courtyard garden simply pave it all and just use it as an extra dining or entertaining space. Of course you will still have to keep the brickwork of your courtyard in good order. If you don’t want to do anything at all, settle for an astroturf lawn and enjoy your perpetually perfect garden.